In 1891 he was living in Cheltenham with his parents. He was educated at Cheam Preparatory School followed by Harrow School from 1897 to 1901. 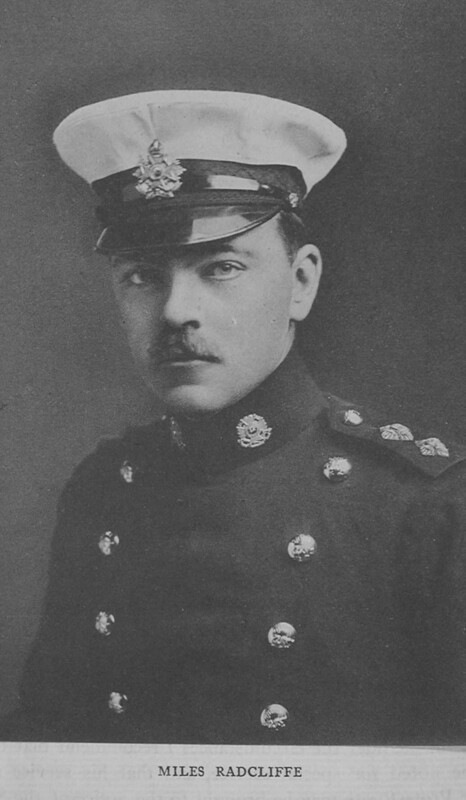 On 13th January 1904 after being a Gentleman Cadet at the Royal Military College he became a Second Lieutenant in the Border Regiment. 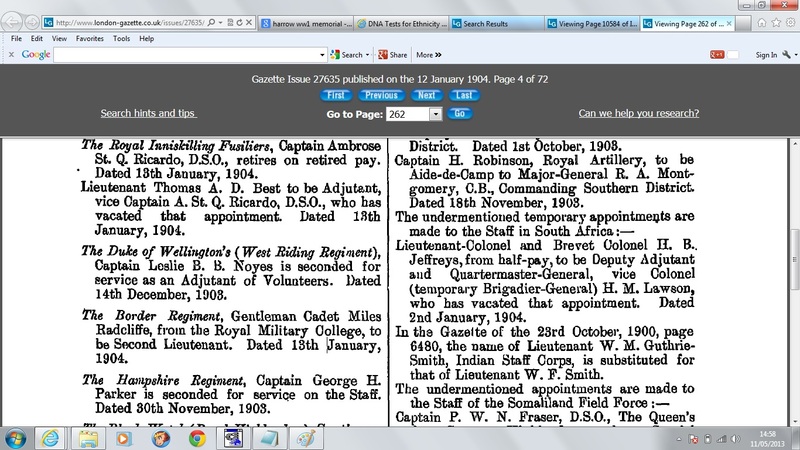 He served in South Africa with the Mounted Infantry from 1906 to 1907. In 1911 he was an officer in the 2nd Batallion Border Regiment based at Headley in Hampshire. In 1913 he married Kathleen Duffin and they had a child Miles Claude Radcliffe on 13th January 1914. 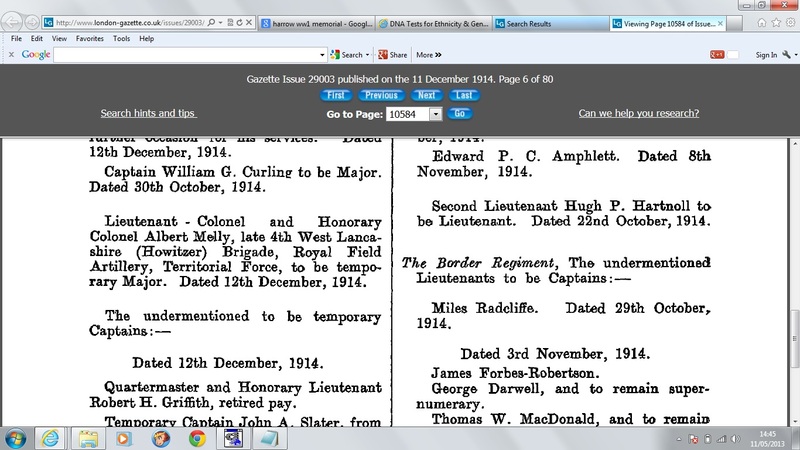 On 29th October 1914 he was promoted from Lieutenant to Captain in the Border regiment. He was Killed in action in WW1. 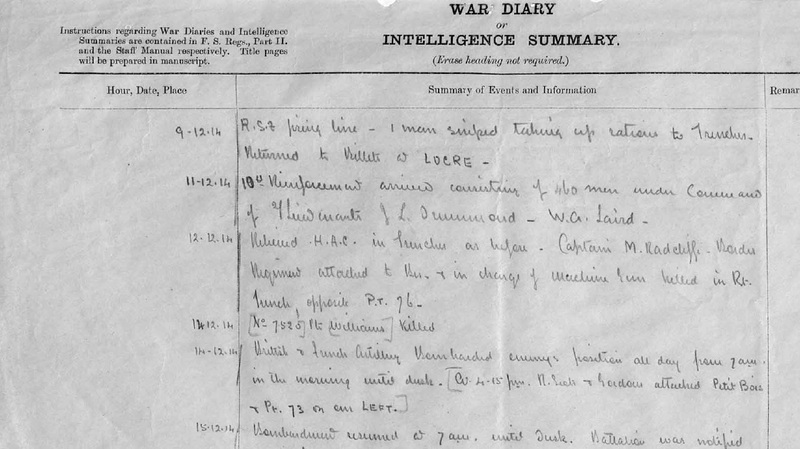 12.12.14 - Relieved H.A.C (Honourable Artillery Company) in trenches as before (near Kemmel 8km south west of Ypres). 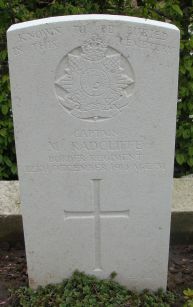 Captain M. Radcliffe, Border Regiment attached to Bn & in charge of machine gun killed in Rt. trench, opposite P.T. 26. He was shot through the heart by a sniper while returning to a dug-out. Grave Reference Sp. Mem. 2. Son of Henry Miles and Eva Bertha Radcliffe; husband of Dorothy Kathleen Radcliffe, of "The Laurels" Hull Rd., York. His grave is marked ‘Known to be buried in this cemetery’ and his personal gravestone inscription reads: “Peace, Perfect Peace’. 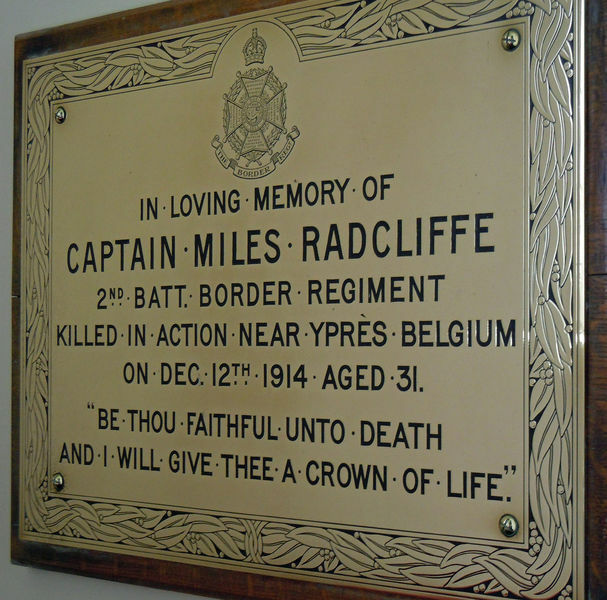 There is a memorial plaque to him at St. George's Memorial Church in Belgium. RADCLIFFE Miles of Summerlands Kendal Westmoreland died 12 December 1914 at or near Ypres Belgium. Administration (with Will) London 10 February to Dorothy Kathleen Radcliffe widow. Effects £8807 4s 10d.